A pair of mismatched socks orange and white with clovers, an funny outfit to wear during St Patrick's day on march 17th. 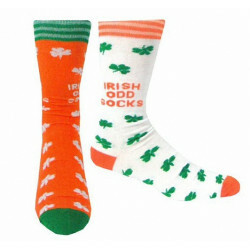 An amusing pair of socks. 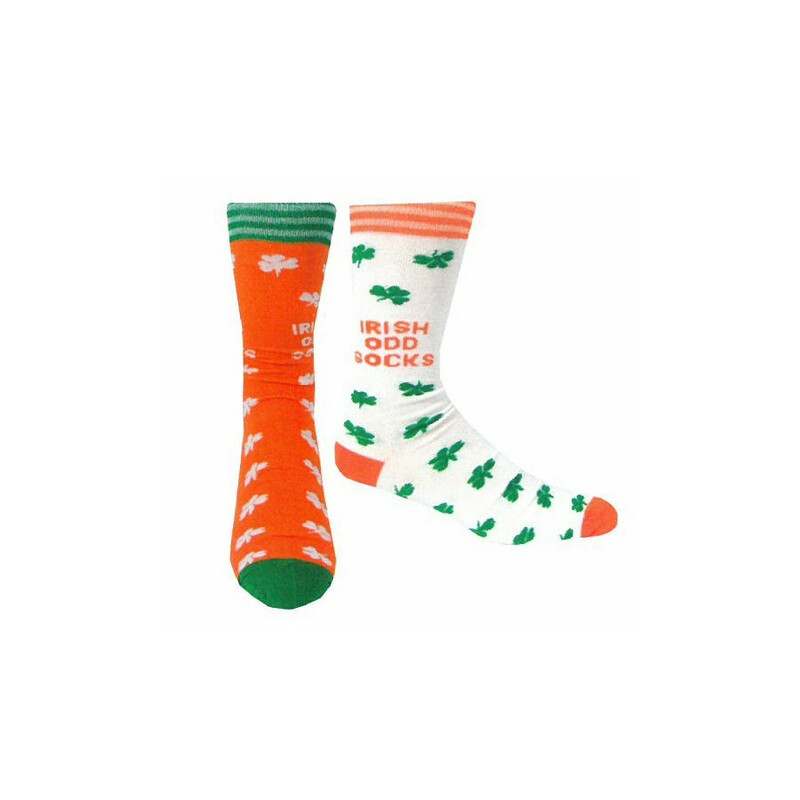 The socks are mismatched, color orange and white with clovers, a perfect outfit to wear during St Patrick's day on march 17th. 75% cotton 20% polyester and 5% elasthane.